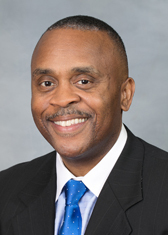 Democratic Leader Rep. Darren Jackson spoke against a constitutional amendment Wednesday that would reallocate power to the General Assembly to appoint judicial vacancies. Exactly three-fifths of House lawmakers passed the second reading of a constitutional amendment Wednesday that would give them more power to appoint judicial vacancies. Senate Bill 814 has already passed the Senate, and if it passes a third reading in the House, it will be put before the voters on the November election ballot. Lawmakers debated the bill on the House floor Wednesday and then voted 72-48 to pass it. Democratic Leader Rep. Darren Jackson (D-Wake) objected to the third reading and it remained on the calendar to be taken up at a later time. He and other Democrats called the amendment a sham and said the wording was crafted to be attractive to the public but doesn’t actually have any teeth to take politics out of the vacancy appointment process. “You can use the language to mislead the public in this state, but the truth is, this amendment requires nothing,” Jackson said. The constitutional amendment takes away the current power of the Governor to appoint judicial vacancies and gives it mostly to the legislature. Members of the public could nominate people to be vetted by a judicial “merit” commission, but lawmakers could determine the composition and function of that commission — after voters approve the amendment and without them knowing the details first. 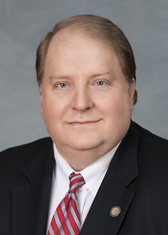 Rep. Jonathan Jordan (R-Ashe) claimed multiple times on the floor that the amendment would not affect North Carolinians’ right to vote on judges. Jackson refuted him, noting that the amendment actually gives judicial vacancy appointments two additional years on the bench, which bolsters their incumbency title. “This is a legislative thunderbolt,” she said. She added that the local and state Bars are the ones who know how best to evaluate the qualifications of judges, and questioned what would happen if individuals appointed to the commission had their own run ins with the justice system and were dissatisfied. Rep. Robert Reives II (D-Chatham, Lee) also brought up a number of concerns with the amendment. He countered the Republican argument that lawmakers were more accountable to the people than the governor and said the current process was not as undemocratic as they make it out to be. “I need you to take this seriously about this, about what we’re doing … we are obliterating the separation of powers clause in the constitution,” he said. 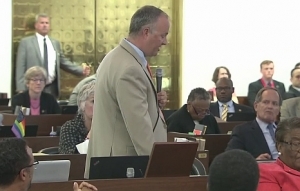 Ultimately, Rep. Justin Burr (R-Stanly, Montgomery), who has been the architect behind most of the legislation in the past year affecting the courts, got the last word and said he disagreed with his colleagues on the other side of the aisle. “This is setting up an open and transparent process,” he said. The House did vote last night 107-9 to pass Marsy’s Law, a constitutional amendment to expand the definition of victim and give victims of more crimes more rights to be heard in their cases, as well as a mechanism to intervene when they don’t feel satisfied with the process. The amendment will be put before North Carolinians for a vote on the November ballot. If they approve it, lawmakers can promulgate enacting legislation later that sorts out the details of how the amendment will work in practice. A new fiscal note released this week shows that the amendment will cost the state $8.8 million in Fiscal Year 2021-22 and $11.2 million the following year.